This was a Pinterest find, from the blog That’s My Letter. You can find the tutorial as it was originally posted here. How neat! I loved the look of the sign…but even more, I loved the message. 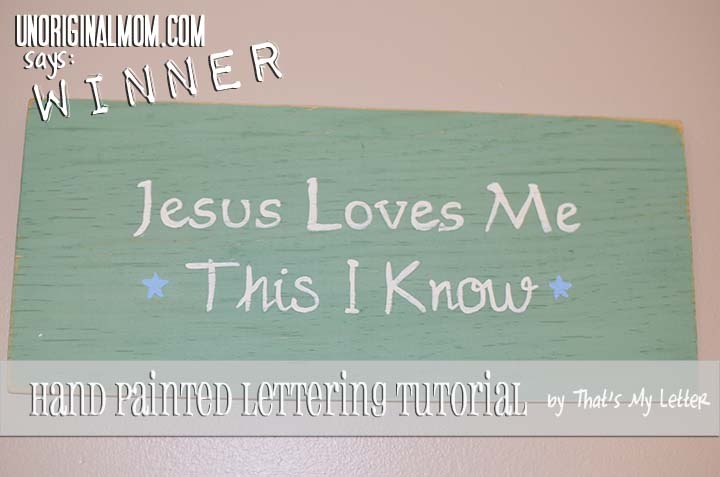 Unfortunately, it was a dead link, so the photo was the only thing I had to go on…but another Pinterest idea I had come across was this wood sign painting tutorial from That’s My Letter – maybe you’ve seen it? Essentially the idea is that you use a computer to print out the letters/design you want, tape it to a piece of wood, and trace over the outline of the letters on the paper with a ball point pen. Then when you remove the paper, the indentation from the pen is left on the wood, and you can easily paint inside the lines. Presto, perfect hand-painted lettering! I was a little skeptical, but I gave it a try. 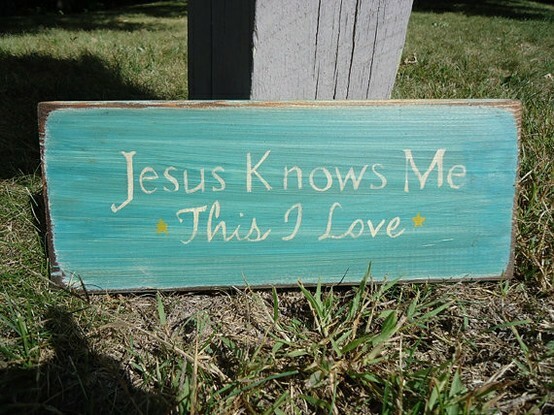 I knew that I liked the lettering, color, and overall look of the inspiration photo, but since it was for the baby’s room, I decided I just wanted the regular lyrics from the children’s song, “Jesus loves me, this I know.” I also “distressed” it a little bit with some sandpaper to make it look a little older and worn. It is a perfect addition to Adelynn’s nursery! 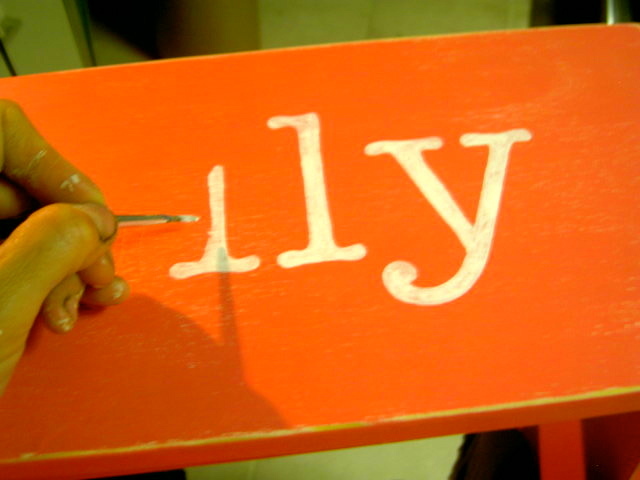 And, since I used a 40% off coupon to buy the wood sign at Michael’s, this project was under $5! SCORE! So, my review for That’s My Letter’s hand painted lettering tutorial – WINNER!